Be sure to use the focal reducer with your camera. This is the 1-1/4″ adapter with glass lenses on either end used to connect the camera to the telescope that increases the field of view of our system. 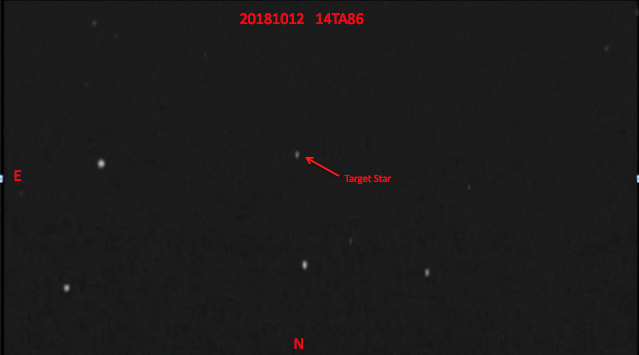 Do NOT use the adapter that does not have class at either end, as this does not provide any focal reduction making it extremely difficult to find the starfield. Be sure to set your IOTA-VTI on FULLSCREEN mode. Remember to save your data files with 20181012_ prefix in a folder labeled 20181012. See Observation Protocol below. 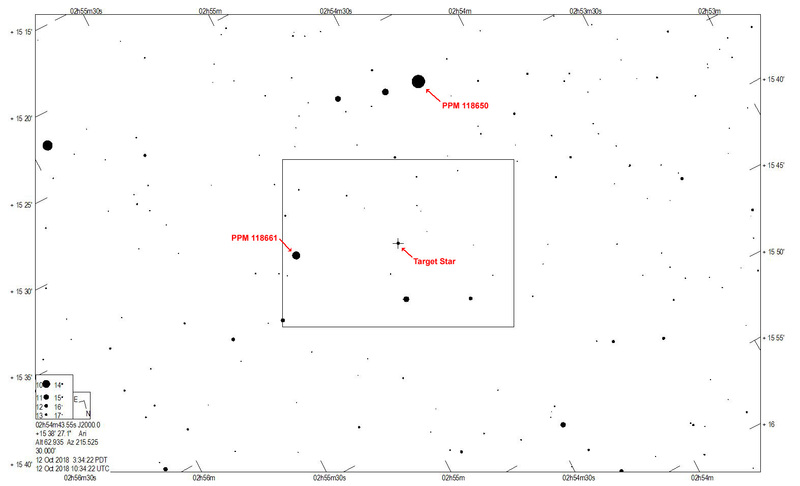 Starchart provided by Jerry Bardecker.